Greg Jarett, Fox News Attorney, has a best- selling book out titled “The Russia Hoax: The Plan to Exonerate Hillary Clinton and Frame Donald Trump” and that’s just what happened. Right before the election Hillary’s manager John Podesta said, “If Hilary loses we’ll blame the Russians.” Well Hilary lost and they blamed collusion by Trump with Russia when it was Hillary who colluded all along with paying a foreign spy Christopher Steel one million dollars to write a phony Russian dossier, which went unverified, on Trump so they could present it to a FISA court and get a warrant tap Trump’s aid Carter Page’s phone. Hillary also sold 20% of our uranium through Uranium One to Russia that they can make nukes out of for 145 million dollars to her foundation. Bill also met with Putin and ended up doubling his speaking fee to $500,000 for a one-hour speech. But Trump is the one who colluded with Russia they said and the media naturally went along with the ride. Think Saul Alinsky’s rule for radicals to blame others for your misgivings which they did. Now that the report is out and shows no collusion and Trump is vindicated the Dems and media are all up in arms because it’s not going their way. Rep. Adam Schiff now wants to subpoena Mueller. A lot of damage has been done and lives ruined. Now John Solomon reporting in The Hill says a new Russian plot is emerging involving a secret Ukranian plot to help Hillary. We know that there were Russian thugs in this country using bribery, extortion and money laundering. Why is this not being investigated? How about Hillary deleting her 30,000 federally subpoenaed e-mails and acid washing her hard drive and smashing her federally subpoenaed devices not being investigated? This whole investigation costing 30 million dollars was a partisan witch hunt from the beginning as Trump has been saying so Hillary could rig an election and get in. FBI agent Peter Strzok was writing her exoneration before she was being investigated. This was a one-sided report. Muller has said there will be no more indictments which means no one is being charged with collusion. But that isn’t stopping the Dems from continuing with investigations looking for some kind of crime when there isn’t any. Now Schiff wants to subpoena Mueller, the country be damned. Attorney General William Barr has to decide what to release and what is to be classified while the Dems are yelling that they want to see the full report. 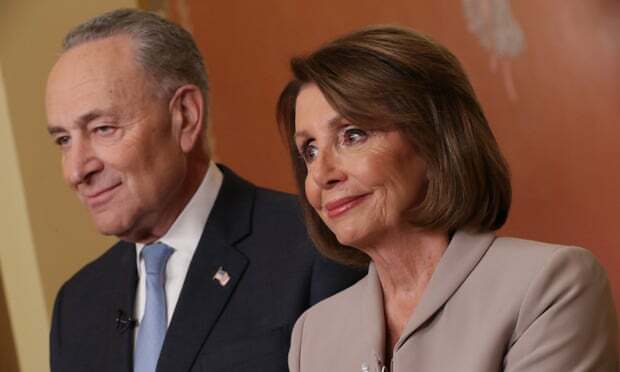 Word of the delivery triggered reactions across Washington, including Democrats’ demands that it be quickly released to the public and Republicans’ contentions that it ended two years of wasted time and money. Mueller did not indict Donald Trump Jr., Jared Kushner, or other people whose purported legal jeopardy was the subject of intense media speculation in the last year. Mueller did not charge anyone in the Trump campaign or circle with conspiring with Russia to fix the 2016 election, as was the subject of intense media speculation in the last year. Mueller did not subpoena the president, as was the subject of intense media speculation in the last year. 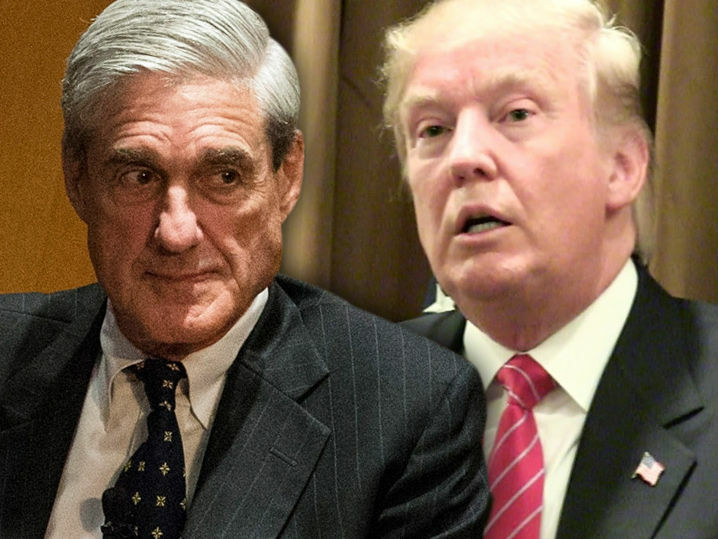 The president did not fire Mueller, as was the subject of intense media speculation in the last year. The president did not interfere with the Mueller investigation, as was the subject of intense media speculation in the last year. In his letter to Congress, Barr noted the requirement that he notify lawmakers if top Justice Department officials ever interfered with the Mueller investigation. “There were no such instances,” Barr wrote. But with these evil Dems, it will never be over and I’m willing to bet this is going to backfire on them big time come 2020. Sadly, we have legions of Socialist Democrat Liberals who have absolutely no interest in the truth, supported by millions of brain-dead zombies who wait only for their SDL masters to give them their protest orders. 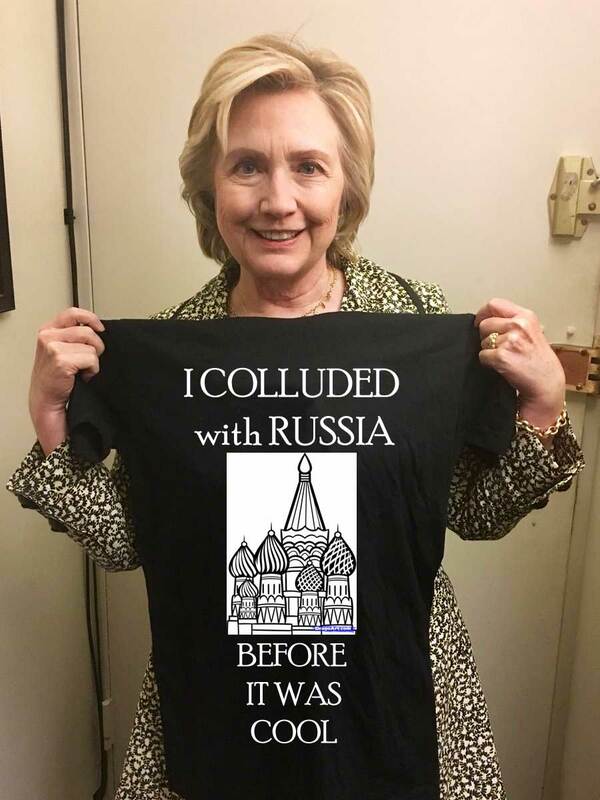 Anyone with a functioning brain realized from the beginning that Russia would have given nearly anything to have their already-bought-and-paid-for collaborator HRC in the White House. Write her a check and you can get anything you want. Their former savior, Barack Hussein Obama, laughed about the possibility of Russian Collusion when Trump pointed out the ties between HRC and Russia. But then Trump won, so things were suddenly different. Trump has closed Russian consulates and annexes, kicked out Russian “diplomats”, supported arms sales to the Ukraine, appointed people like Nikki Haley who repeatedly, pointedly, and loudly criticized Russia, and emplaced economic sanctions against Russia. No one who is capable of rational, objective thought actually believed any of this garbage, but as stated, truth is irrelevant to them; their ends justify any and all means and their integrity, honesty, and decency were all willingly sacrificed long ago. Keep it up, dems – I love it! Your insanity as transparent as the “Emperor’s New Clothes”. To keep pursuing the DJT is a bad guy – we just know it – narrative, is doing the same thing over and over, expecting different results!! We ARE getting sick of it and we DO matter!! !